I already searched for an answer but i didn't find anything about my question. I would like to know how create a layer loop ? 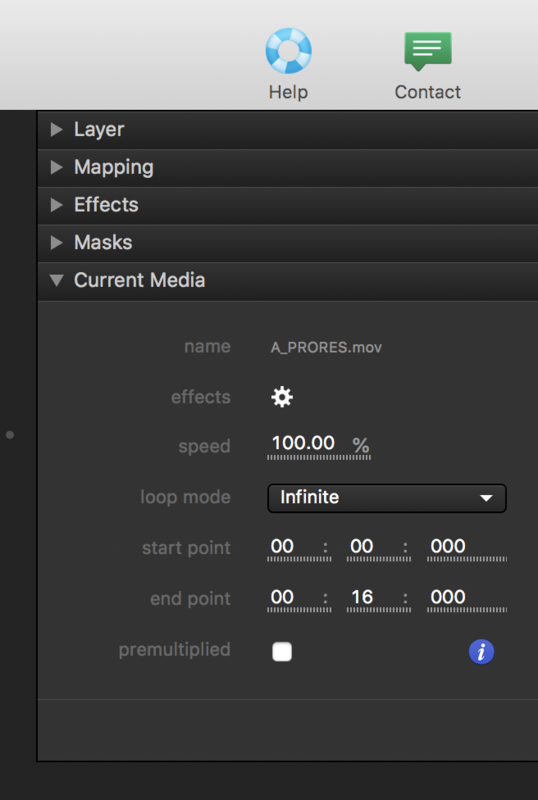 I have one Layer with 5 movies and i would like to play them in a infinite loop mode. How can i do that ? You can change the loop-mode of a movie directly in the properties-panel : on the right of Millumin's interface. You can also set the default behavior in the Preferences. Lastly, if you want to create a big loop from multiple layers, you could create a timeline to embed everything together. i will try it with a timeline to embed evrything together like you said. Ok, I see : you want to "chain" media together, to make a big and one movie. Am I right ?